Microsoft Dynamics CRM 2013 comes with the new fluid User Interface and Flat UI User Experience (UX) and design. The new design aims to ease user navigation, free up screen space and create a consistent look and feel across desktop and touch enabled mobile devices. It comes with new simpler single line action command bar with a “more actions” drop down list freeing up screen space (as opposed to the ribbon in CRM 2011) for more data, charts and information on forms. This new refreshed design of CRM 2013 has affected most but not all Dynamics CRM entities. Entities that have changed to reflect the new fluid UX design are called Refreshed Entities. Entities which are continuing to use the classic design are called non refreshed entities in CRM 2013. Non-Refereshed legacy entities and cannot have Business Process Flows allowed for them. However, as a work around, Non-Refreshed legacy entities can still be exposed as sub-grids onto refreshed entities so that they can be included in Business Process Flows on the refreshed entities in CRM 2013. All custom entities and most end user facing system (out of the box) entities are “Refreshed” entities and are using new UX form experience. Classic (old) forms are mostly restricted to system settings area while new Fluid UX forms for refreshed entities cover majority of common CRM 2013 entities that are frequently used by CRM users (such as Accounts, Contacts, Cases, etc. – full list / details below). In CRM 2013, Only Refreshed Entities have the new command bar while the legacy Non-Refreshed entities have the Ribbon (as in CRM 2011). This post, What’s new in Microsoft Dynamics CRM 2013, lists the main new features in Dynamics CRM 2013 and compares them to Microsoft Dynamics CRM 2011 where applicable (Crm 2013 Vs. CRM 2011). At the bottom of the comparison table, you will find links for the most important Dynamics CRM 2013 resources which are the customer center, developer center and Tech IT Pro Center. You will also find some informational files about Dynamics CRM 2013 and which are published by Microsoft. I will continue to update this table frequently. All comments & feedback is welcome. Please comment below. Interface Left Navigation Pane New Top Horizontal Navigation menu bar New menu bar replaces CRM 2011 Navigation pane and designed to ease user navigation, free up screen space and create a consistent look and feel across desktop and touch enabled mobile devices. Interface Top Ribbon Commands bar 5 buttons Action bar & a More actions CRM 2011 ribbon has been replaced by a simpler single line action bar with a “more actions” drop down list freeing up screen space for more data, charts and information on forms. Commands are related to what you are working on and change based on data and record opened. Interface Get started pane Removed in CRM 2013 Removed to provide further screen space for information. Interface Workplace Area & Dashboards No Workplace area. Dashboards specific for each area The Workplace Area has been removed and Dashboards and Reports are now part of every Work Area: Sales, Marketing and Service giving more room for data specific to each CRM Work Area. Interface Popups No Popups. Edit Data Inline. Inline Editing: In CRM 2013, you can now click or tap a field to update info for a record right inline. No flipping to another screen. There are no more pop ups in CRM 2013. Interface Quick Create Form Create new records using the Quick Create Forms on the go.In the top Nav bar, click or tap Create, and then select the type of record you want. Enter data for a few fields, or more if you have it. You can come back and fill in the gaps later when you have more time. Interface Prominent Records Headers & Quick View Forms Surfaces important Customer information and highlights key data (such as phone number, status, record owner) on related forms so users always have their customer data at their fingertips. .
Interface & Devices Seamless Interface Experience Across all devices CRM 2013 is delivering a CRM experience that is consistent across web, client and devices. Native device capabilities provide familiar tools and actions to get things done.Always know where you are within your sales process, easily complete key tasks and advance the process to reveal what’s next. Embedded Skype calling allows you to stay connected with your Customers. Devices Dynamics CRM Apps for Windows 8 PC & Tablets, iOS (iPhones & iPads) and Android phones. The Microsoft Dynamics CRM phone applications will complete the mobility story by providing a touch-enabled mobile phone application experience for Windows 8, Android and iPhones. Phone applications will be launched following the General Availability of CRM 2013. Devices Tablet Optimised Web Browser Experience Users that access CRM from the web browser on their mobile device will be presented with a web browsing experience optimized for the device. The “liquid layout” optimises the viewing experience, adjusting for various screen shapes and resolutions (landscape, portrait, 1, 2, 3 column). This browsing experience adds flexibility in how the mobile employees access their CRM data and includes offline caching for offline viewing so users can still access key data if connectivity is lost. Deployment Write once, Deploy Everywhere. Configuration changes to the interface will persist in the tablet application. CRM optimises your web forms for the tablet layout. Even client-side logic is supported on the mobile device to deliver rich experiences. Social Enterprise Collaboration Yammer Integration including users without CRM licenses. 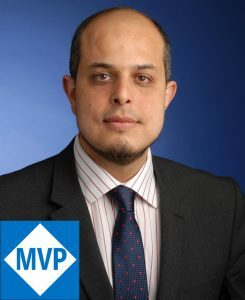 Users can participate in social conversations directly within Microsoft Dynamics, through the Yammer web and desktop applications as well as apps running on Microsoft (Windows Phone), Apple (iOS) and Google (Android) mobile devices. Process Excellence & Agility Business Process Flow Dynamics CRM 2013 gives users visual guidance to navigate processes that makes workflows more prescriptive and easier to follow.New process bar prompts users to follow next action steps in line with your mapped workflows to progress leads, opportunities, service cases and other tasks. Customisation & Configuration Records Auto Save Users no longer need to click or tap Save when editing a record. By default, the system automatically saves any edited records every 30 seconds, or when users navigate to another record. Customisation & Configuration Actions Developers can extend the functionality of the standard Microsoft Dynamics CRM system by creating custom messages, with associated request/response classes, known as actions. Actions are new type of processes to expand the vocabulary available for developers to express business processes. With core verbs like Create, Update, Delete, Retrieve, Associate and Assign provided by the system, an action uses those core verbs to create more expressive verbs like Escalate, Approve, Route, and Schedule. If the definition of the action needs to change due to changing business priorities, someone who is not a developer can edit the action using the application workflow designer. Since these actions are available through web service calls, they can be used from both inside the application using a command action or from external applications. Customisation & Configuration Integrated Maps Integrated Bing Maps dynamically show the map for the primary record address. Customisation & Configuration Workflows are Asynchronous. Real-time Synchronous Workflow The existing workflow execution model that supports asynchronous workflows has been extended to support real-time (synchronous) workflows. Real-time workflows are not queued, as was the case with asynchronous workflows, but execute immediately on-demand or in response to a message being processed by the execution pipeline. Real-time workflows participate in the database transaction and perform similar functionality to plug-ins, yet can be created by a non-developer through the web application workflow designer. Developers can still create real-time workflow through code. Customisation & Configuration Role-Based Security (owner) Teams Only Role-Based Security Teams (owner Teams) and Access Teams Teams need to collaborate with a unique set of people within their organization for each record such as an Opportunity, order or important customer contact. CRM 2011 role-based security does not give users this level of flexibility. With a record-based access team, CRM users can be added to a specific record and give them access. The access team is a new type of team that doesn’t own records, but, has access to records. Unlike with owner teams, you can create one or more access teams to work on the same records and have team members with different levels of access rights to the record. Customisation & Configuration Calculations and formulas via Business Rules Setting a field value in a business rule allows the use of formulas to do calculations for applicable fields such as fields of type “Money”. Addition, subtraction, multiplication & division are the calculation operations available and can be done between fields or values. So for example: set “Total Box Value” field value to “Price per item” field multiplied by “24”. (assuming every box has 24 identical items for instance). Office 2013 Support for Office 2013 CRM 2013 for Outlook will be supported in Microsoft Outlook 2013 providing contextual capabilities directly within the Outlook experience. Word merge for documents and emails will be supported in Microsoft Word 2013, and the ability to export data to Microsoft Excel for analysis and reporting will be supported in Microsoft Excel 2013. Web Services & Endpoints Support for Oauth protocol & enhancements to OData web service Endpoint. CRM 2013 includes several enhancements to provide flexibility to deliver powerful mobile applications. Added support for OAuth protocol that is RESTFUL and easier to support for Mobile/Tablet applications. These applications, once they are authenticated through OAuth, can then use either the SOAP endpoint or the REST OData endpoint. The OData web service endpoint has been enhanced with the addition of authentication support for external mobile and rich client applications. Previously, the OData web service endpoint supported only pre-authenticated client (script) code provided in web resources. Web Services & Endpoints Support for CRM 4.0 2007 Endpoint & Legacy features CRM 4.0 Service Endpoints & Features removed in CRM 2013 CRM 4.0 2007 service endpoints, CRM 4.0 plugins, CRM 4.0 client-side scripting and CRM 4.0 custom workflow activities no longer supported & will not work in CRM 2013. Microsoft Dynamics CRM On-Premise → Microsoft Exchange On-Premise. Microsoft Dynamics CRM 2013 has been officially released and is now available as of today 8 October 2013. Dynamics CRM 2013 Online Free Trial and On-Premise installation bits (server, etc.) are all available. Good news for everyone in the Dynamics CRM community. Microsoft Dynamics CRM windows 8 App is Dynamics CRM community App that displays the main Dynamics CRM information and resources including news, forums, Dynamics CRM videos, Dynamics CRM feeds and twitter updates and Twitter search tags all on one screen optimised for both Windows 8 Tablets and Windows 8 Laptops, Desktops, Tabtop/Lablet (such as Microsoft Surface). This Windows 8 App aims to provide a single source of Dynamics CRM essential and main resources all on one screen without having to switch screens or tab between different windows. It’s currently an early version App (v 1.0) but I believe it can be quite useful especially to those Microsoft Dynamics CRM customers and Dynamics CRM consultants and professionals who want one source of for information, news, the latest tweets and feeds about Dynamics CRM all in one location and switch between them by a click of a button without having to research resources or switching between different screens and applications for them. The App is a Windows 8 App built for the windows store but I haven’t added it to the store yet as it is still work in progress. Based on the community feedback and popularity of the app and its future versions, I can invest into extending it with more resources and information about Dynamics CRM and make it available for free on the Windows Store (I don’t have a paid store account yet!). 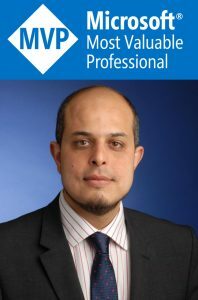 Hopefully, I will be also updating it with resources for the upcoming Microsoft Dynamics CRM 2013 guides and information. 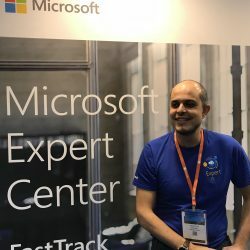 For all of the above reasons, I will really appreciate any feedback, comments, ideas and suggestions from the Dynamics CRM community on how to improve the App and make it a more useful resource widely used by the whole CRM Community. There is obviously a large potential for expanding this app but it won’t go anywhere without the community participation and support. 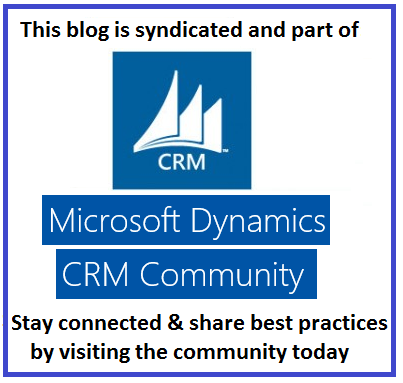 Just giving back something to the great Dynamics CRM community! To start using the app, and because it is not available on the Windows store yet, you can download the source code from CodePlex and Run it from Visual Studio 2012 to install it on your Windows 8 machine (or VM). All you need to do is to download the source code, run the Visual Studio solution file and when Visual Studio opens, you just need to build / run the App solution (F5 or CTRL F5) and then the app will run and will also be added to your start screen as a new tile. The App is called All CRM Resources. As mentioned before, I am hoping this to become a community project with lots of input from everyone. Please add your comments and suggestions below and join the discussion. Alternatively, you can use the “Contact” page here on my blog to contact me directly. Please Note: This software / application is provided AS IS, with no warranty or support and you download and use it at your own risk.